Spring is definitely in the air, and the lovely colours of sakura (cherry blossoms) and other flowers are everywhere. 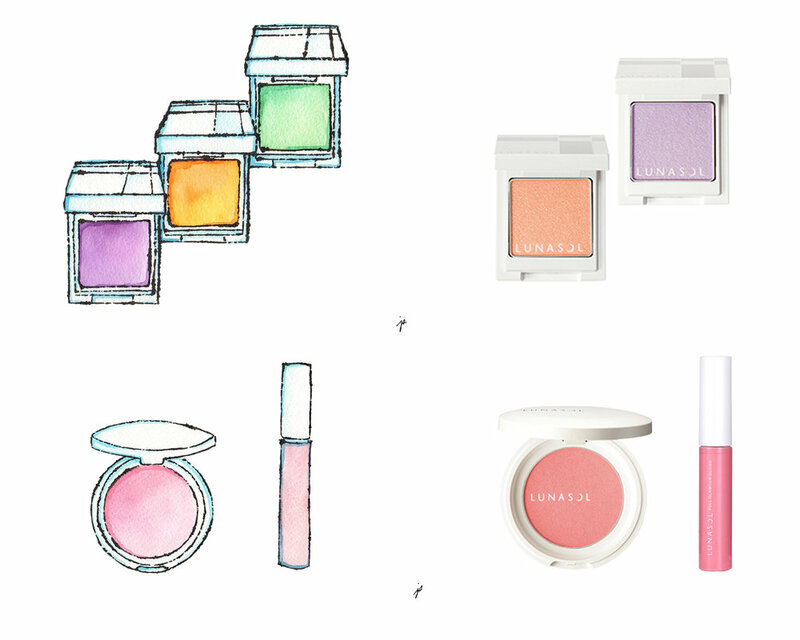 Decided to paint the Spring 2015 collection of my favourite makeup line, Lunasol (from Kanebo), for the upcoming issue of The Bulletin magazine. Am showing here, a side-by-side image of my illustrations and the actual product shots of the items. The photos are from Lunasol's official website, as with the two images with model wearing the beautiful colours. The limited edition collection comes in fresh, shiny, sheer, and milky pastel colours, and their white packaging makes them even more eye catching! 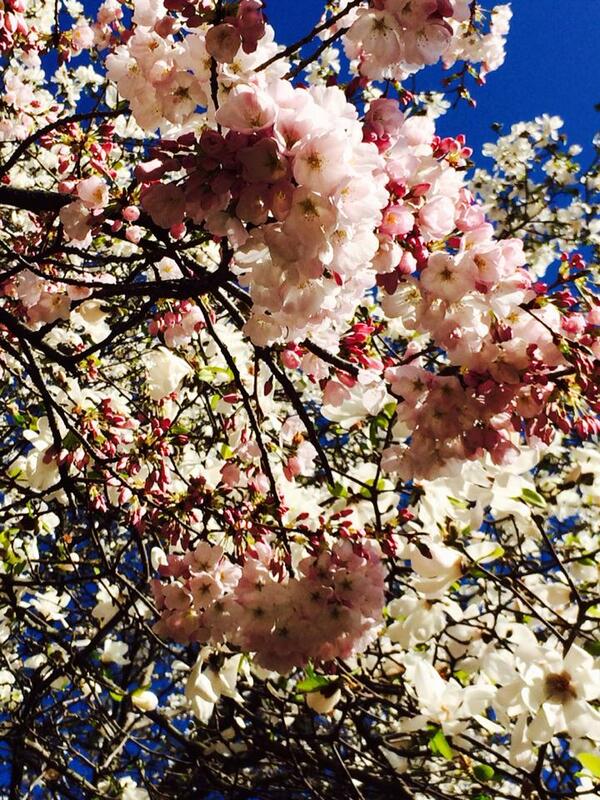 The last photo was actually taken in downtown Vancouver, and is of blooming sakura and magnolias! !